Of course our most visited page is the home page, but you’ve probably never even seen our second and fourth most visited pages. Those are password protected pages I use for sharing course content with students in Slovakia. I have one page for each of my two classes, Old Testament Background and Critical Introduction to the Old Testament. Unfortunately, those pages are password protected, but you can check out the introductory page if you want to test Google translate. Of our blog posts, by far the most popular are in the series I did on the creation account in Genesis 1. Five of the six posts in that series rank in the top ten blog posts (1, 2, 4, 5, 6). All total they’ve been visited more than 2100 times and we still get new visitors to those pages every day due to search traffic. You can see a listing of all my theology posts on the index page. Next comes the dissertation template that I maintain for PhD students here at Trinity. The download page for the template is our number 3 blog post. Theology and dissertation templates have a much broader appeal than our ministry and family so they draw quite a bit of traffic from search engines. In fact, more than a quarter of the traffic to our site comes through search engines. So of those posts that are focused on ministry and family, by far the family posts are the most popular. Did you enjoy our 2010 Christmas Card? Do you remember Our Beautiful Ballerina or my Ode to Jana? Those are are our seventh, eighth and ninth most popular blog posts. 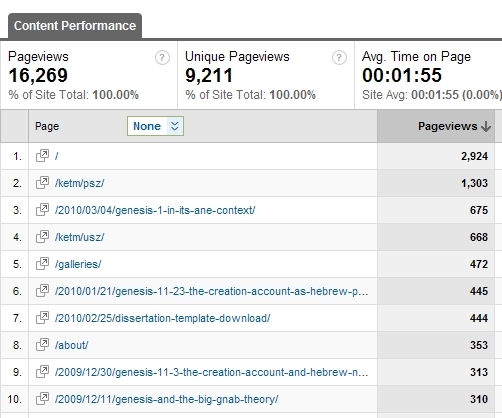 Another interesting aspect of our site stats has to do with visitor stats. How much traffic do we get and where does it come from? In January and February we had between 100 and 150 visitors per month. In November and December we had between 700 and 750 per month. 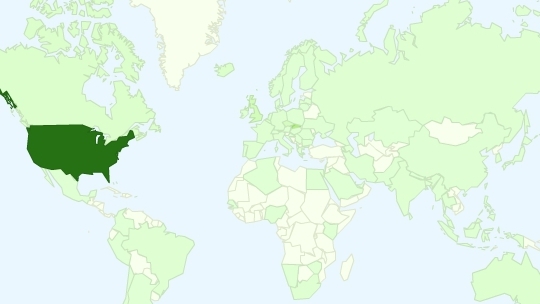 In the graph above you can see that by far most of our visitors come from the United States (with visitors from all but five states–Alaska, New Mexico, Wyoming, South Dakota, and Vermont are the laggards). But we’ve also had 850 visitors from Slovakia and 230 from the UK. 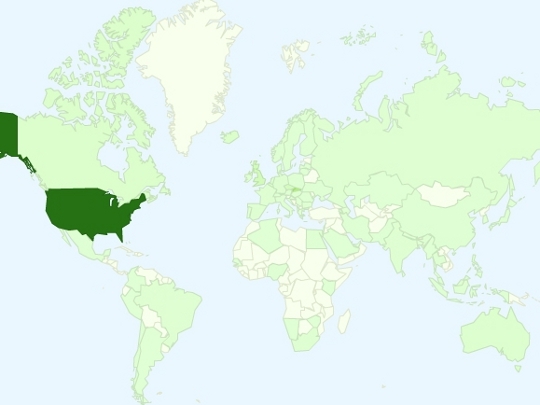 Altogether people from every continent, 82 different countries and territories, have visited our site. That includes visitors from countries like India, China, the Philippines, Iran, and Myanmar, to name a few. Actually, if you look at the fourth article down there’s a picture of a lady pointing to walls built by Solomon. What few people realize is that in the areas she’s pointing to, the bricks laid by the original builders create a pattern that looks just like the face of Jesus. By the way, how do you end up at posts like this?